During the week before the Florida Derby, Gulfstream Park is used to being the center of attention. The Grade 1 Kentucky Derby prep is one of the key dates on the national racing calendar, and one of the two biggest days at the Hallandale track. Usually, the attention of the turf media is turned squarely south, but this year, Gulfstream, owned by The Stronach Group (TSG), arguably got less attention than another TSG track, one that hadn’t held live races for most of the month of March. Overshadowing this year’s Florida Derby were issues that call into question the future of Santa Anita Park in Arcadia, CA – and could directly impact Maryland’s Stronach-owned tracks, Laurel Park and Pimlico, as well as the entire Thoroughbred industry. Santa Anita closed for several weeks following a spike of equine fatalities since the winter meet opened on December 26. The spate of injuries got the attention of national media, with headlines in non-racing publications virtually a daily occurrence. 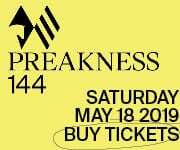 The focus became even more intense on March 14, when The Stronach Group published an “open letter” announcing that it would immediately begin implementing measures at Santa Anita to ban Lasix, further restrict a number of other medications, and reduce riders’ use of a whip. The next step in that process will take place April 12, when jockeys are slated to ride without whips. Shocking as the announcement was on its own, it was equaled in impact by the inclusion in the letter of a quotation from People for the Ethical Treatment of Animals, endorsing TSG’s actions. Reaction was swift and furious, ranging from “It’s about time,” for such measures, to “WHAT?! Really?” to excoriating TSG for partnering with a group that many in the racing industry liken to a terrorist organization, not an animal welfare group. The relationship between PETA and The Stronach Group has been building for five years, since PETA released an edited, undercover video that claimed to expose a multitude of abuses within trainer Steve Asmussen’s barn. Among the first joint initiatives was establishing a way for bettors to donate to the Thoroughbred Aftercare Alliance through specially-programmed wagering machines at Stronach tracks, an idea proposed by PETA. Since then, the New York Racing Association has also provided machines at its tracks to enable such donations. According to Guillermo, PETA turned its attention to horse racing following “whistleblower” phone calls the organization had received from people concerned about the way horses were being treated. Guillermo’s primary contact at TSG is Mike Rogers, president of the racing division, who referred questions to chief operating officer Tim Ritvo. He confirmed Guillermo’s assertions. Ritvo was referring to Guillermo’s comments at the March 28 meeting of the California Horse Racing Board. Referring to the demise of Ringling Brothers’ circus, the tweet has since been deleted. He is not alone among horsemen, many of whom have questioned the apparently-unilateral decision-making by The Stronach Group without including trainers, jockeys, and owners in the initial process. 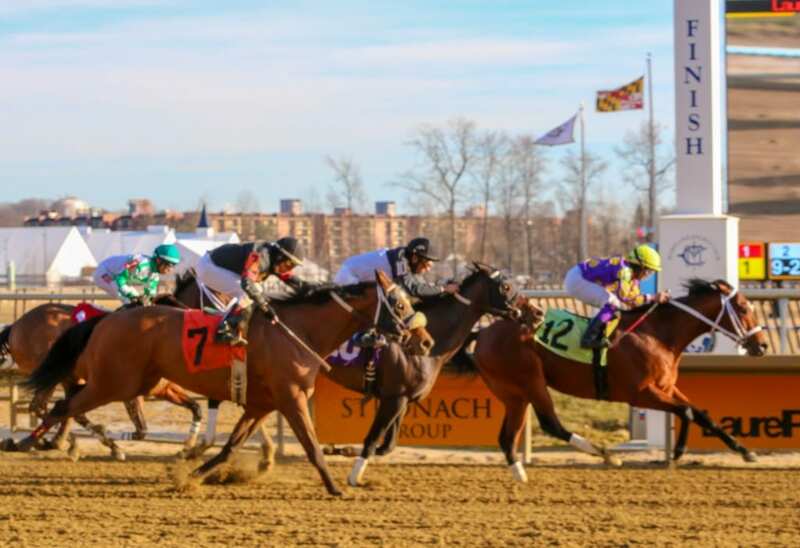 In Maryland, horsemen and officials suggested that the Maryland Thoroughbred Horsemen’s Association and Maryland Racing Commission would likely demand more central roles in any safety-related decisionmaking process. He is a vocal supporter of eliminating race-day Lasix, even as he unapologetically uses it in training and with young horses, a stance he made clear at a summit at Belmont Park on race-day medication in 2011. The situation in California changes nearly daily, with lawmakers who previously have shown little interest in racing calling for investigations and the closure, at least temporarily, of Santa Anita Park. A successful — and fatality-free — Santa Anita Derby weekend this past weekend provides some breathing space, but the track, and the industry as a whole, remain under scrutiny. The CHRB has begun the lengthy process of implementing Belinda Stronach’s protocols, and no one has yet suggested bringing them east. I am for improving the welfare of these wonderful equine athletes and for the HUMANS who ride them. However, kowtowing to PETA is not the answer. I am all for improving conditions and care for racehorses, but talking to PETA is like a gazelle talking to a lion. Even if he says his intentions are harmless, his goal is to kill you.